This week's travel blog of the week is Corporate American Runaway by Sherry. She has been travelling around the world since the 8th of October 2006 after deciding to quit her job and take some time out. The blog starts with Sherry setting out on her journey bound for Kenya and details all the anxiety that comes before setting off on an adventure. It then charts her travels through Zanzibar, South Africa, New Zealand, Australia, Bali, Thailand, Vietnam, Greece and Italy, to name just a few of the places she has been to date. The most recent entries are about her time in India but this blog has so much content that it is really worth reading through the older posts if you are new to it. One of my favourite entries talks about her mission to find some goats in trees in Morocco. 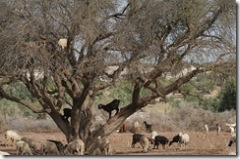 Having heard stories of these tree climbing goats Sherry was determined to track some down and get some pictures. 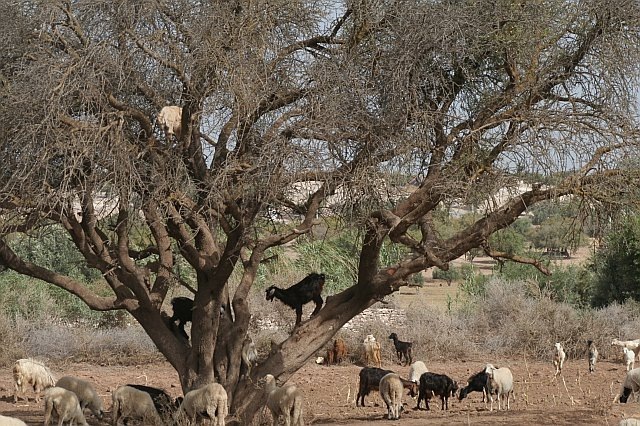 After a long taxi ride and much searching she is rewarded by seeing a group of goats that climb into the trees and hop from branch to branch looking for food. 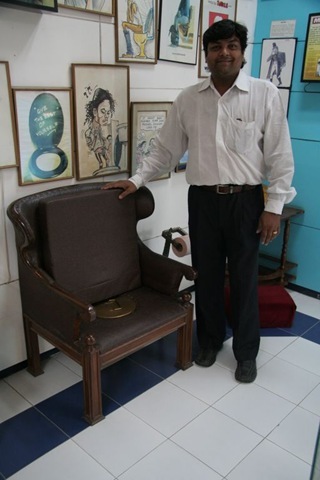 Another interesting article is about her visit to The International Toilet Museum in India. She describes it as "toilet heaven" and finds that rather than being simply a museum full of toilets it is also part of a programme to provide sanitation solutions for India. The work they do includes building public toilets and educating people on the importance of sanitation. It does also have a number of toilets including toilets through history, royal toilets and even toilets disguised as chairs. This is probably one of the most obscure but nevertheless interesting posts I have read recently. My favourite post on this blog is about driving in India. 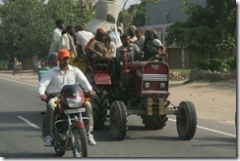 Sherry has lots of useful tips on driving in India such as "NEVER try to drive yourself in India. it's suicide". She talks about how the system of lanes works. Basically there are three lanes painted on the road but there is enough room on the road for five lanes with an inch of space between vehicles, so it's ok to pretty much drive anywhere you want. She also notices that the horn is very important when driving in India. According to Sherry the steering wheel is the most important equipment in the car, followed by the horn. It is generally used for changing lanes near trucks. The trucks have no side mirrors so it's the responsible of other drivers to honk their horn to signify they are there, otherwise they get hit. Another interesting point about Indian driving is that stop lights are optional. Once again the horn plays an important function here, simply speed through the intersection, ignoring the red light, honking the horn to announce your presence. This article is well worth reading all the way through for its tips on buses and crossing the street, truly brilliant. Russia has recently unveiled a new passenger jet which they hope will be a big seller in the commercial aircraft market. The aircraft has 110 seats and has been developed by Sukhoi in conjunction with Boeing. The plane is due to undergo test flights later this year but there are hopes that they will soon be able to make six planes a month for foreign airlines. If the plane is a success it could help Russia in moving away from its current reliance on income form oil and gas. British Airways has just placed an order for £4.1bn of new planes. They have ordered 12 Airbus A380 superjumbos and 24 Boeing 787s. The new planes will be greener and quieter than current models as well as being more fuel efficient. This order will replace half of BA’s existing long haul fleet. They are likely to be delivered between 2010 and 2014. Heathrow Airport will test Terminal 5 prior to opening it. They have recruited around 15,000 volunteers to ensure the terminal runs well. The volunteers receive a free lunch and a goody bag for their help. They will go through mock security and baggage procedures to try and help cut down on delays when the terminal opens for business. During the first four weeks of testing groups of 30 to 100 people will test the facilities, rising to groups of up to 2,250 people just before opening which should test the facilities as though they were operating live. It will be interesting to see if the testing does make the new terminal more efficient. One of the articles I enjoyed was 30 Surefire Ways to Stretch your Travel Dollar, which covers 30 points to help back packers stretch their travel budgets with tips such as hooking up with other travellers to get group discounts and making friends with the locals who can also give good advice on saving money. Another article I can relate to to is 5 Tips for Travelling in Large Groups, I have always found travelling in large groups (while safer) can also be cumbersome especially when it comes to making decisions. This article gives you some good tips on how to make it work out. Traffic has been banned from certain roads in central London for a day. The ban is to enable people to use a car free cycle route which passes several of London's famous landmarks including the London Eye, Westminster and St Paul's Cathedral. More than 30,000 people are expected to use the route which is open from 11am to 4pm today. The event finishes with a festival which includes bike stunt displays and a cycling circus. The Communication Workers Union has announced more strikes which will take place in October. These will start with a 48 hour strike on the 5th & 6th October and a 48 hour strike on the 8th & 9th October. From the week commencing the 15th October there will also be a rolling programme of strikes which will continue weekly until the dispute is resolved. During this time PC2Paper cannot guarantee delivery times. I found this interesting method of folding clothes, which is supposed to mean they don't get creased in the suitcase. It is called bundle wrapping and you can see the diagram here. Not having tried it yet, I don't know if it actually works but it’s certainly interesting. Easyjet has said it supports imposing green taxes on flights. They say the current passenger duty should be scrapped and replaced with a tax based on the amount of carbon dioxide each flight produces. Under this scheme Easyjet believe their passengers will pay less than they do currently. This is because most of Easyjet’s planes are quite new and the majority of its flights are short. A postman in Knaresborough, North Yorkshire has been jailed for nine months after he admitted stealing mail. Between October 2004 and May 2007, it is estimated he stole about 20 items of mail a week. He was finally caught after an operational involving covert cameras and dummy packages. This week's travel blog is The New Hampshire Bushman in Taiwan. Every so often we come across something really special and this blog is one of those rare gems. It is written by M J Klein and details his adventures in Taiwan, Thailand, Hong Kong, Laos, China and Borneo. This blog is full of interesting articles; one of the more striking photographs is of two Thai men that dressed up as ladyboys or Kratoey. Another really interesting article looks at the Hukou Monday Night Market and details what you can find there. It appears there is something for everyone, from games and rides for the children to clothing stalls and fabrics. 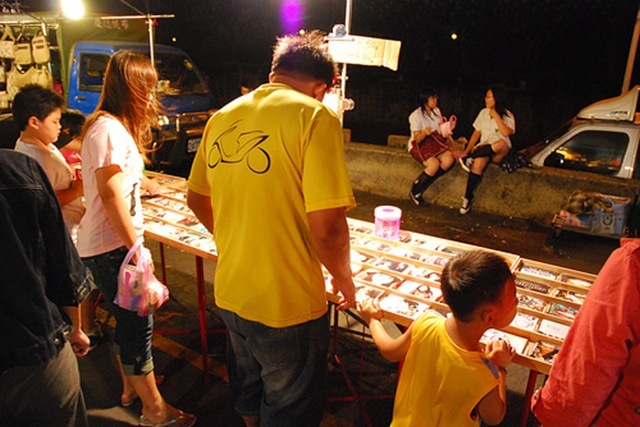 There is even a stall that sells illegal DVDs but because they are illegal it is untended and relies on customers to put money in a pink receptacle. M J Klein, quite rightly points out the irony of using an "honour system" to sell illegally copied DVD's. 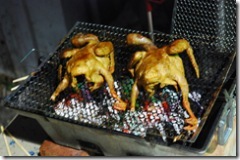 M J Klein also posts a lot of entries about cooking outside and in particular on grills. 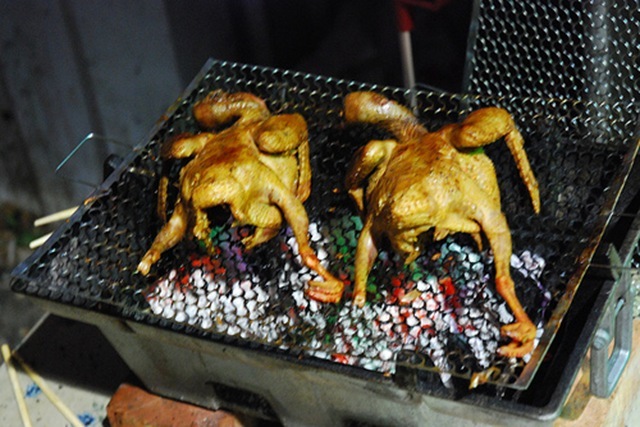 One in particular shows Shao-hui's Thai marinade and the various stages of cooking what looks like wonderful food. This picture showing a pair of freshly killed pigeons looks just wonderful. I found this website that has some good holiday offers. They cover Beach Holidays, tropical holidays, weekend breaks, car hire and also have a selection of cheap flights. Some of the destinations they offer include Antigua, Barbados, Borneo and the Cayman Islands. I found some really good deals for St Lucia starting at £473 for a three star hotel. To book all you need to do is call one of their UK based travel consultants who will help you find a holiday that is tailor made for your requirements. PC2Paper's Internet letter sending service now offers colour laser printing from its UK printing station. The Norwegian postal service takes the delivery of ballot papers very seriously. So seriously in fact that when a ballot paper was sent to the wrong town, they pulled out all the stops to try and get it to its destination before the polls closed. This included taking the unusual steps of flying it 220 miles to Oslo and then another 185 miles to Foerde, before sending it on a chartered helicopter for the remaining 35 miles to its destination of Stryn. The complete bill was 15,000 kroner. The Communication Workers Union has said they will announce further strikes after they failed to reach an agreement with Royal Mail after five days of talks. Whilst they have made some progress it was not enough to avert the treat of further action. If the strikes go ahead they would take place before the end of September. Postal workers in Stoke-on-Trent have returned to work after staging an unofficial strike after twelve of their colleagues were suspended. The strike has caused disruptions in the Stoke-on-Trent area and mail may be delayed for the next few days. Talks between the Communication Workers Union and Royal Mail to try and resolve the pay dispute responsible for the recent strikes concluded on Sunday 9th of September. As yet no agreement has been reached. The Union has informed Royal Mail that they will extend the period of calm and are prepared to enter into further talks. There is currently no threat of further industrial action. This weeks travel blog of the week is Rambling Traveler, I've been visiting this blog quite regularly and have finally got around to giving it the worthy mention it deserves. Stacy the blogs author, has a lovely bogging style featuring the various places she has visited and always with such stunning pictures. 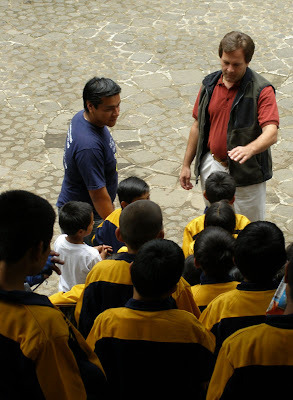 The article I enjoyed the most was God's Child Project, the article explains how Stacy and 5 friends joined a task group to help and learn about the poor in Guatemala. The goal of the organisation is to help families out of poverty by helping the children to stay in school instead of them working to help support their families. They use incentives such as school supplies, food, medical care etc. George Best Belfast City Airport has announced plans to extend its runway. The plans would allow Ryanair to fly to more European destinations from the airport. Ryanair hopes to offer flights to three European destinations as well as four daily flights to Stansted airport in London. On the subject of Stansted airport you might want to read this article by Ubertramp who has a few things to say about the airports location. The first Eurostar train to use the new St Pancras terminal has broken the Paris to London record after a trip of two hours, three minutes and 39 seconds. The train travels at around 192mph. The quicker time should help to drive up passenger number and allow Eurostar to compete with budget airlines. Nepal’s state run airline has an interesting approach to fixing problems. Faced with a technical problem with one of its two Boeing 757 aircraft they decided to sacrifice two goats to help solve the problem. Personally I feel better if they had called an engineer, but what do I know? The goat sacrifice did appear to work and the problem with the plane has been resolved. There has been a 69% rise in the number of typhoid cases reported in the UK. This rise is put down to the fact that many tourists do not get the proper vaccinations before going to exotic locations. A rise in low cost flights and the fact that more people are holidaying in locations such as south-east Asia and Africa means that more people are bringing infectious diseases with them. There were 248 cases of typhoid reported in the UK in 2006, 122 of which were picked up overseas. This weeks travel blog is My Several Worlds A global mind in Asia. The blog is about the experiences of Carrie Marshall and her fiancé and their experiences in Asia. The couple are currently living and teaching in Taipei in Taiwan. 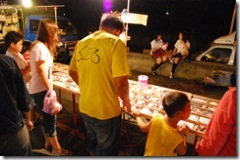 One interesting article is a photo journal of Cambodia. The article shows the inhabitants of a small village and shows a number of pictures of the local children and of fishermen bringing home their catch. 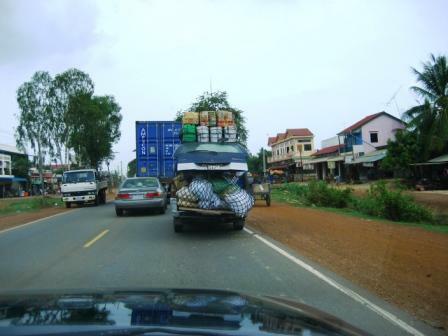 A slightly more humorous article entitled Vehicles of Burden shows some of the overloaded vehicles they have come across crossing from Cambodia into Thailand. 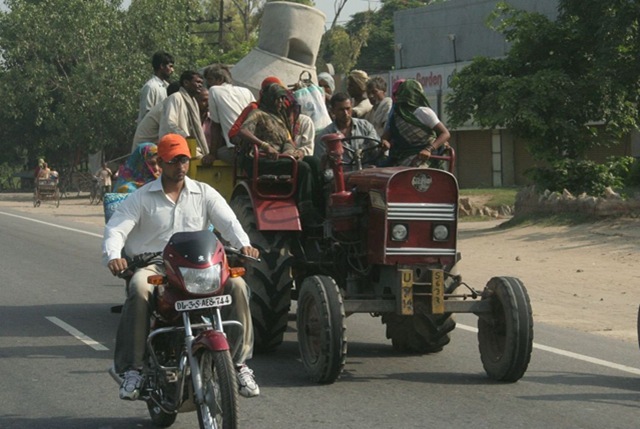 Among the photographs are a man driving a motorcycle overloaded with grass and a picture of a dozen people crammed into the back of a truck. They are currently planning a trip to Tokyo, which should make an interesting read judging by all the things on their itinerary.